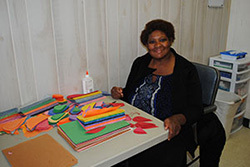 The Arc of Jefferson County provides community-based educational and adaptive daily living skills training, as well as instruction in academics, socialization, communication, personal care, and hygiene for adults with intellectual disabilities. We served a total of 274 adults in the day programs in Jefferson and Blount counties last year. 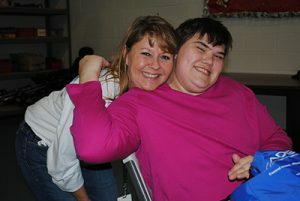 The Arc’s Day Program for Adults also benefits families affected by intellectual disability. Many parents and siblings who care for their loved one with an intellectual disability tell us it’s a chance for them to return to work or handle other responsibilities, while their family member attends an Arc day program. Ages of participants in the day program vary, from adults in their 20s to adults in their 60s.